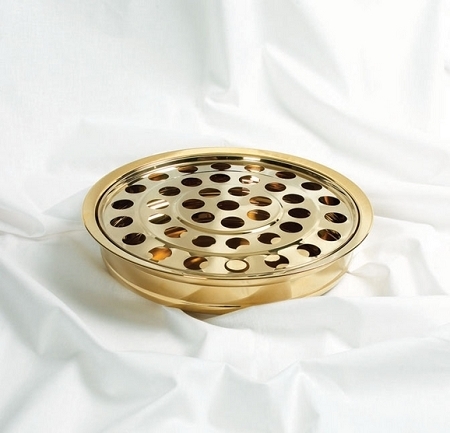 Hand crafted by skilled artisans out of brass-plated stainless steel, these fine brass Communion serving trays each serve up to 40 people. Not sure how many trays your church needs for a Communion service? Check the handy "How to Order" chart at the bottom of this page. Each Communion 40 cup serving tray holds standard glass or plastic Communion cups which generally measure 1 1/4" in diameter and 1 3/8" tall. 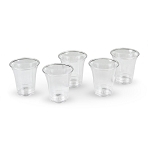 Made to last, these discount Communion ware sets add elegance to your church service without upsetting your budget. 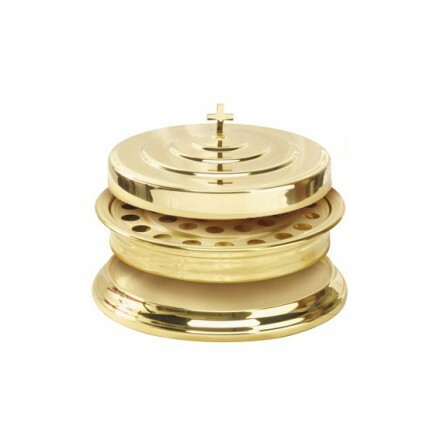 Backed by a steadfast 5-year warranty, you'll feel confident knowing that brass Communion serving trays are guaranteed to arrive without defects and perform perfectly for years to come. Now you can get high quality, well-made Communion ware sets for the same price you might have paid for a cheap Communion tray somewhere else.